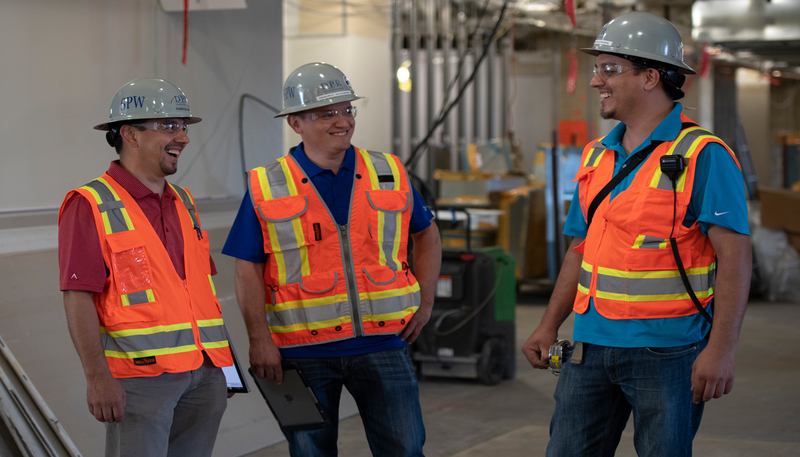 In honor of Labor Day, DPR Construction is launching a new blog series, Builders at our Core, dedicated to sharing stories of DPR’s self-perform work teams. 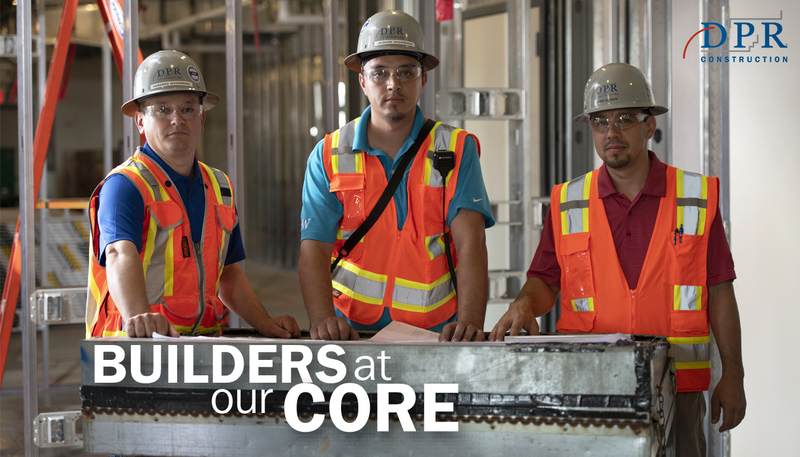 These builders are successfully executing complex, technical projects for some of the world’s most progressive and admired companies. With diverse career paths, we’ll hear from people who got to where they are in very different ways, but have a few key things in common: a passion for continuous learning, growth and building great things. Jesus, the youngest of the Guzmans, was the first of his brothers to join DPR as a carpenter in 2008 and has since been promoted to general foreman. After hearing about DPR’s unique culture, his brothers came on board as well. Ruben joined DPR as a carpenter in 2009, and went on to become a foreman, general foreman, assistant superintendent and is now a superintendent. He has also worked his way into estimating, and shares estimating duties 50/50 with another teammate in DPR’s Reston office. Isidro, who prior to DPR began his career as a carpenter at age 15, joined DPR in 2010 and has since been promoted to foreman and assistant superintendent. Q: What do you love about construction? Ruben: It’s never the same; every day is something different. You are never finished learning. You keep yourself busy all the time. I fell into becoming a carpenter, but I found out it was actually what I wanted to do. 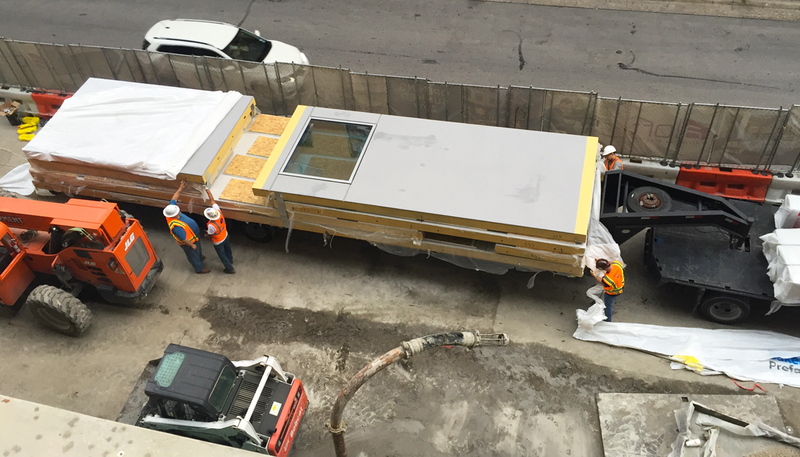 When I came to DPR, I saw that DPR operates differently than more traditional general contractors. I really liked that, and it was one of the things that drove me to put more effort into what I did. Isidro: I started in construction when I was young. I didn’t have the opportunity to go to college; everybody has a different path. 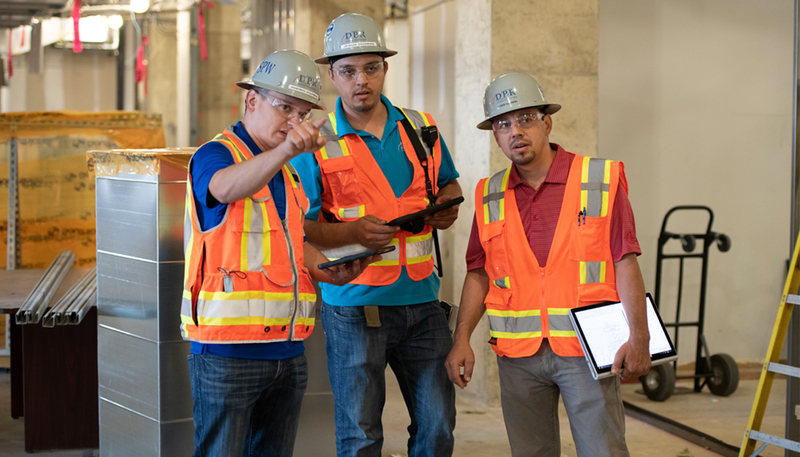 I like everything about construction: putting work together and working around people, as well as managing teams and empowering them to do good work. Jesus: The big responsibility. Sometimes people don’t see it like that, but I like to have responsibilities and do my work the best that I can. Ruben: In my case, it helps me a lot to come from the field, knowing how to build things. You can see the drawings, imagine people building it and know what it takes. Isidro: It’s important that people have experience on the actual job that they’re doing. If you have experience doing things with your hands, that makes everything easier. It’s important to prepare yourself with trainings, and do as much as you can to be successful. Jesus: A person needs to be open-minded to learning about all kinds of work, and be able to build good relationships with all the trades. Jesus: At the holiday party in 2015, I was one of ten people, including my brother Ruben, recognized for safety. I completed 10,000 work hours without any incidents. People who work at DPR do good work, and DPR takes care of them. Ruben: It was the first year DPR did these awards in Reston, VA. It makes people proud to be one of the few recognized for the 10,000 incident-free hours. Isidro: The most important thing when you are a leader is to get better at it. It’s not easy, and it’s a lot of responsibility. You might have 100 people onsite, working around the clock, and you are responsible for the safety of every person. You are responsible for making sure they go home to their families at the end of the day. That’s the reason I am proud of getting the job done on time and without injuries. Q: What would your advice be for the next generation of builders entering the field? Ruben: Never give up. Don’t believe that because you are a laborer or a carpenter, you can’t become a project engineer or superintendent. As long as you have goals, and you study, it’s possible for everybody. If you need a tool to learn, people will always help you at DPR. Isidro: Don’t be complacent; always try to learn new things. Carpenters, think about being foremen; foremen, think about being general foremen. It’s possible. Think about it, and work hard to get it. There are a ton of possibilities. 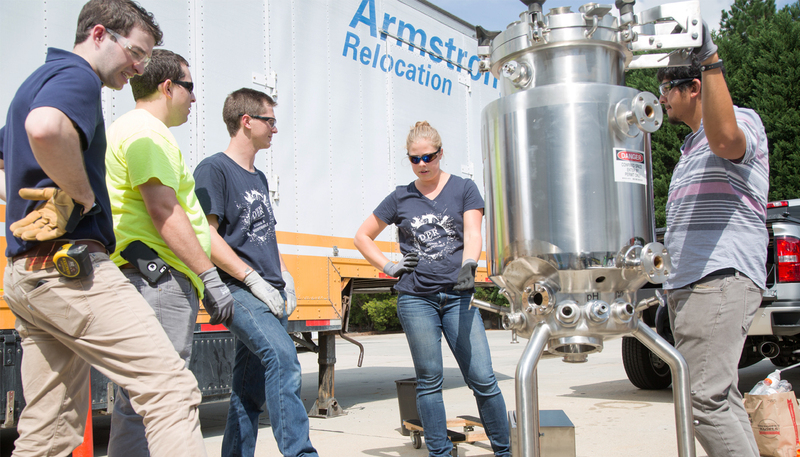 Working together at a confidential life sciences project in Research Triangle Park, North Carolina, project engineers Devin Kennedy and Ben Salsman noticed that their customer was disposing of a few old bioreactors. Designed to grow and develop cells to extract proteins that are used to create injectable medicines, bioreactors are an important aspect of life sciences–a piece of equipment that engineers usually learn about out of a book. 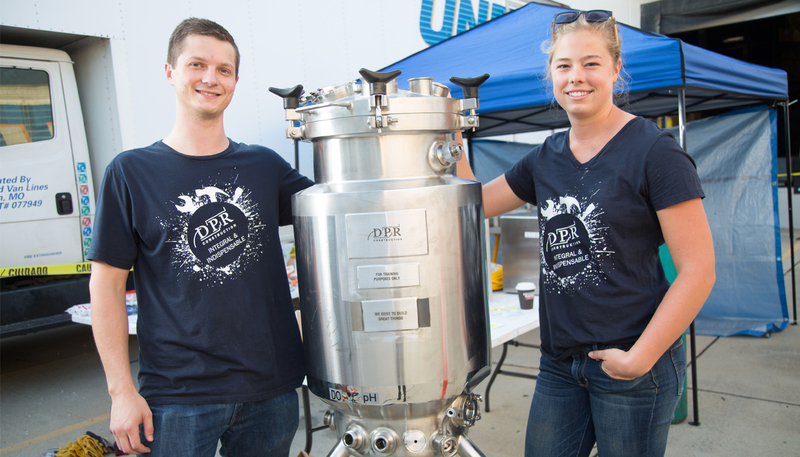 Wanting to gain more hands-on MEP experience in DPR’s culture of continuous learning, Kennedy and Salsman decided to turn the discarded 60-liter bioreactor into a learning tool. With a core team of DPR’s technical experts, they brainstormed what they could do, such as adding valves and instruments, building a control panel and developing a sequence of operations. They stepped up to the biggest challenge: making the out-of-service bioreactor fully functional. A team of 20 project engineers in DPR’s Raleigh-Durham office set out to create a physically self-contained bioreactor on one skid and understand how its components (sensors, valves, pumps, controls, wiring) interacted in a highly controlled, pressurized environment. 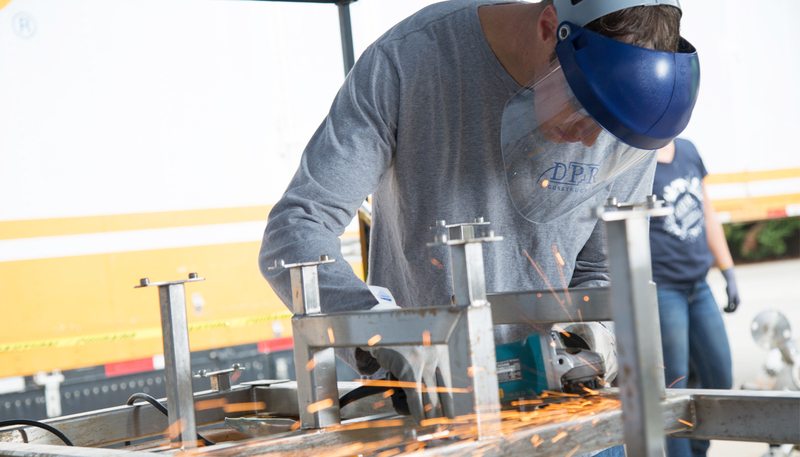 Through hands-on workdays led by DPR experts focused on mechanical, controls and electrical aspects of the bioreactor, the project engineers gained experience from design through commissioning. Focusing on the “why,” not just the “what,” the project engineers looked at the bioreactor as a holistic system that helped them connect to DPR’s work. 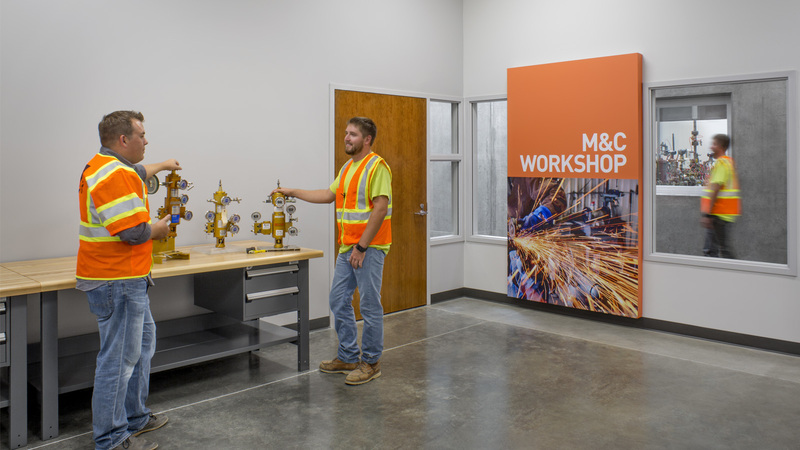 They gained hands-on experience with concepts including controlled automation systems, welding and wiring–all of which reappear in projects across core markets, and all of which project engineers typically don’t get to touch with their own hands. 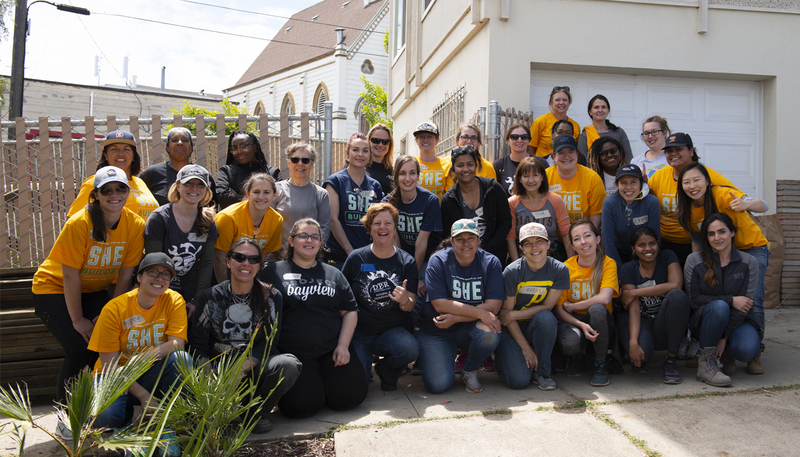 This spring, about 40 women from DPR and across the industry came together to make much-needed improvements at Project Bayview, a home in San Francisco for women transitioning out of difficult situations, including homelessness, addiction and human trafficking. 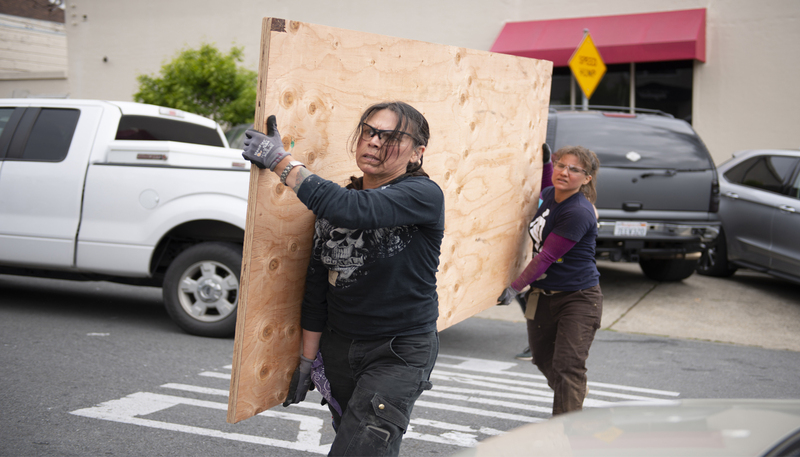 As part of Rebuilding Together San Francisco’s second annual SHEBUILDS community project, the team of all-female builders, engineers, craftspeople and community volunteers worked to increase health and safety at Project Bayview, empowering women to become change-makers in their communities. Patching holes, drywalling, painting, caulking and organizing throughout the home. 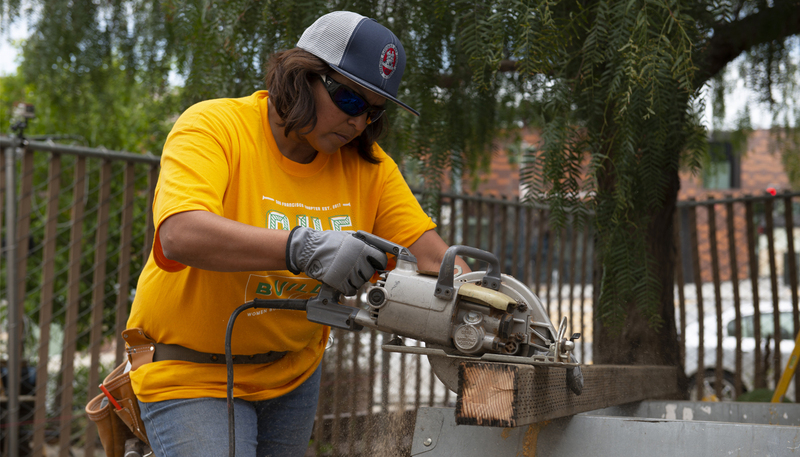 According to Heather Kusunoki, house manager at Project Bayview, some of the women living at the home joined the team to work on repairs, and were inspired working alongside and learning from the all-women team’s attention to detail and quality. 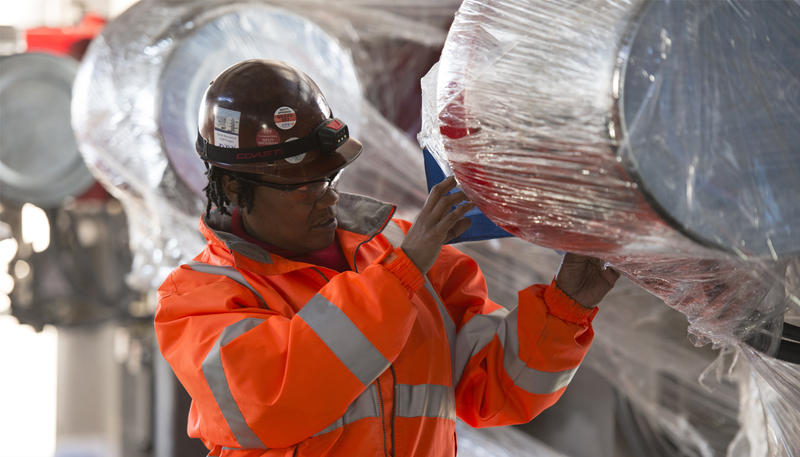 One of these women now aspires to enter the trades after she finishes her program at Project Bayview, breaking a cycle of difficult situations and creating a new one: one of women empowering women to create positive change in their lives and communities. Check out radio host Peter Finch’s podcast about the SHEBUILDS project, featuring DPR’s Vic Julian and Lea Rewinski here! 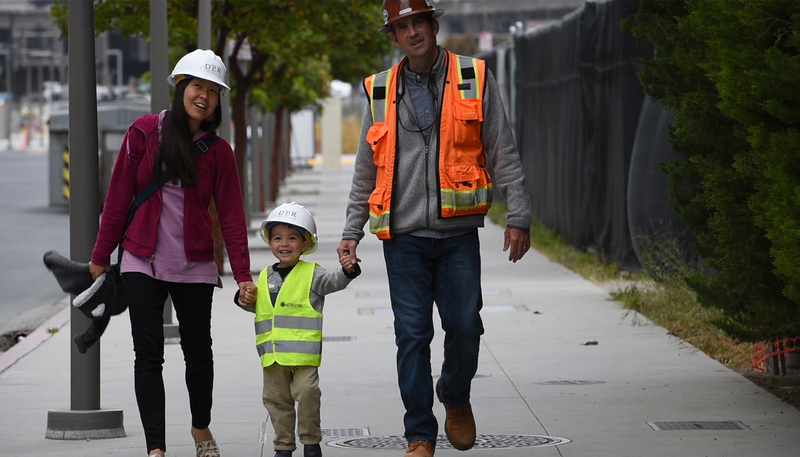 When DPR’s Joel Bass and his wife Wei-Bing Chen arrived at UCSF Medical Center at Mission Bay because Chen was in labor, the staff told them that it might be helpful to go for a walk around campus. It was a familiar walk for Joel Bass, who was a superintendent on the award-winning 878,000-sq.ft. ground-up hospital complex renowned for its integrated project delivery (IPD) approach and state-of-the-art patient care. After walking the very same halls where he did countless job walks during the years he worked on the hospital, the parents-to-be sat on a bench and reflected on what was to come. On March 12, 2015, the world welcomed Tyler Bass, the first DPR baby to be born at UCSF Medical Center at Mission Bay. It was serendipitous, as the hospital had only moved deliveries into the new hospital a few days prior. 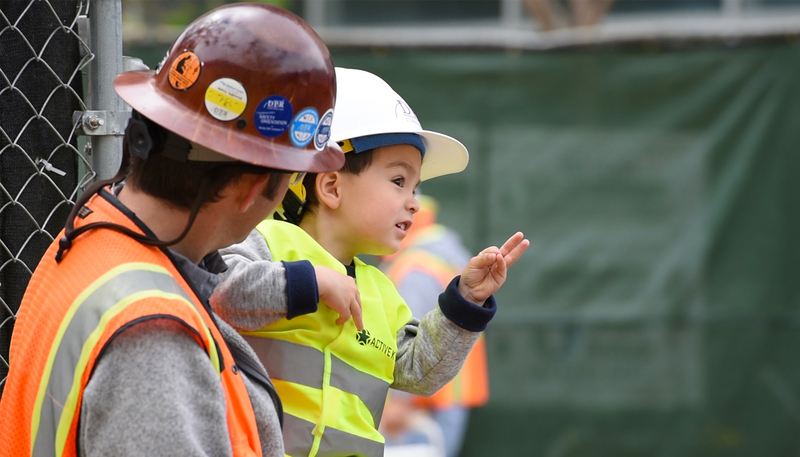 Today, Tyler Bass is three years old–old enough to recognize UCSF’s helipad from nearby Highway 280 as “the place where dad works.” With his own hard hat, vest and boots, the toddler gravitates toward anything related to construction. He’s fascinated by cars, trucks and equipment, and is always lobbying his dad to take him to the jobsite. 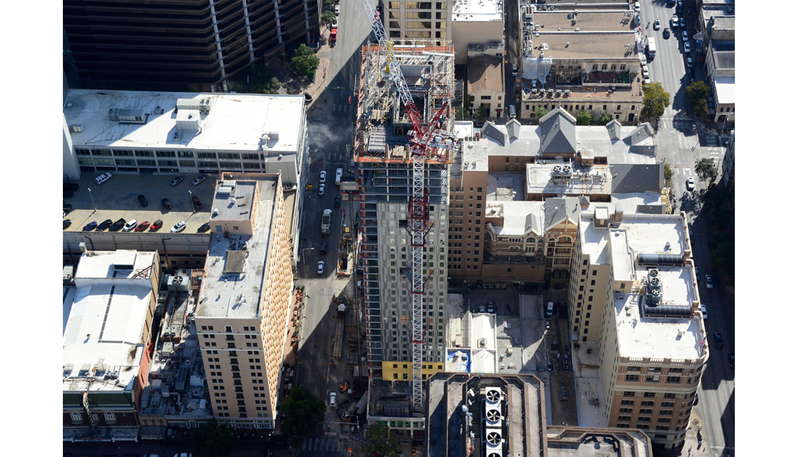 Joel Bass now works a few blocks away from the hospital where Tyler Bass was born, as he and the DPR team build UCSF’s new 270,000-sq.-ft. Joan and Sanford I. Weill Neurosciences Building, which will bring together lab research programs and clinical care in what will become one of the largest neuroscience complexes in the world. On his last visit, Tyler Bass proudly told his dad that he wants to work with him some day, a dream that makes Joel Bass smile–and a dream that might come true. 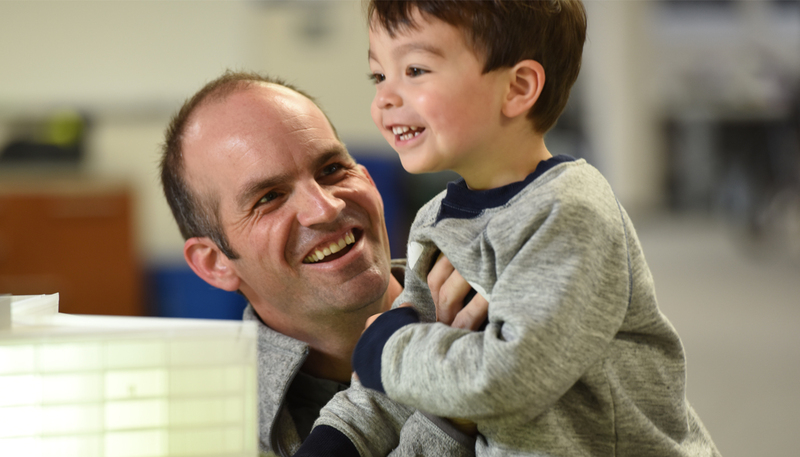 When DPR’s Dan Crutchfield met his wife Lauren Crutchfield at McDaniel College in Westminster, Maryland, he had no idea what big moments life would have in store for him at the hospital a mile away. 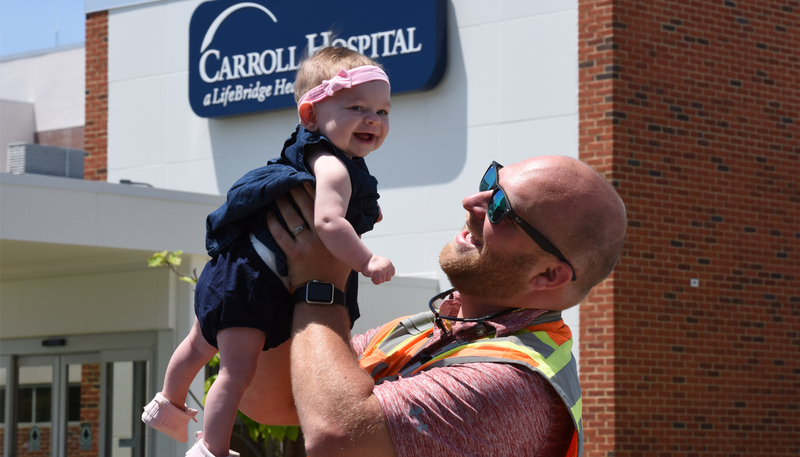 As a superintendent at DPR, Dan Crutchfield has worked on five straight projects for Carroll Hospital Center, ranging from outpatient suites to the expansion of the labor and delivery suites, often coordinating construction work within live hospital units. On Nov. 25, 2017, after enduring a long labor and delivery process, Lauren Crutchfield gave birth to Josephine (Josie) Crutchfield in one of the very same suites built by her father. 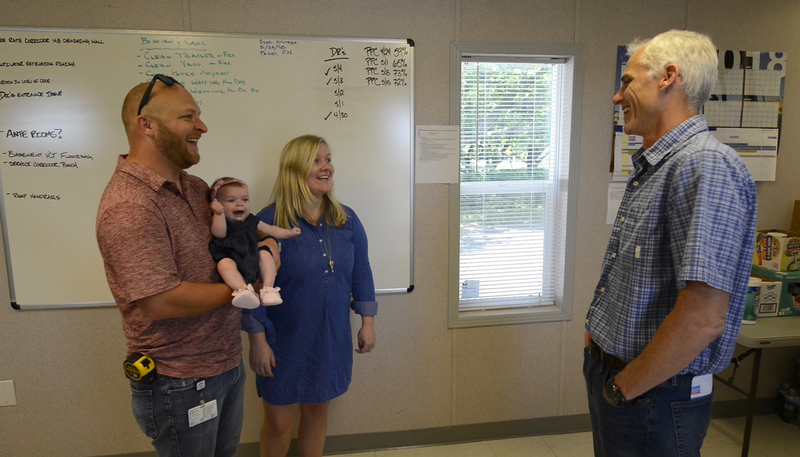 Dan Crutchfield still works within the same building, as the DPR team builds an expansion of the hospital’s couplet care program, which enables mothers and newborns to stay together for their entire hospital stay. Nurses, doctors and hospital staff run into him almost every day and check in for updates about his wife and daughter. A native of Carroll County, Maryland, Dan Crutchfield grew up his whole life in the community that Carroll Hospital Center serves and finds great meaning in building a facility that will positively impact so many people that he knows–including his own family. 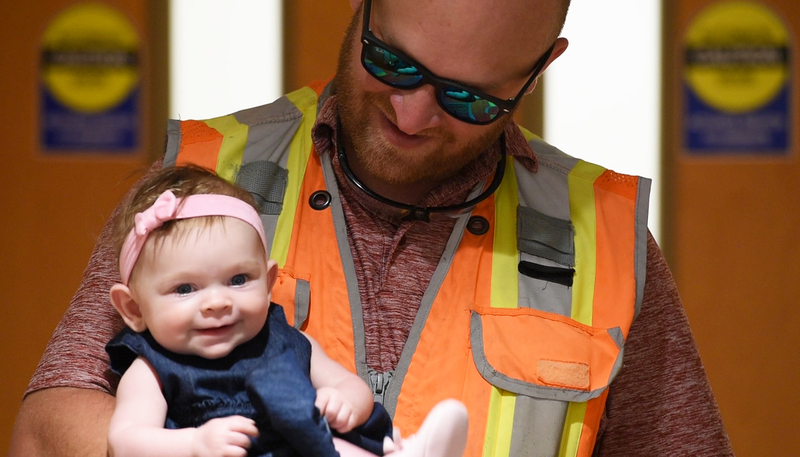 Josie Crutchfield is now six months old, and when she’s old enough, Dan Crutchfield plans to explain to her how she was born in the hospital that he built. In 2016, DPR’s Gretchen Kinsella gave birth to her daughter at Banner University Medical Center Phoenix (BUMCP), in one of the very same rooms that she helped build back in 2004. Gretchen is DPR’s youngest project executive in the Phoenix region, managing the largest project that DPR has ever built in the area—the $318-million BUMCP. When she started at DPR as an intern in 2002, Kinsella’s first full-time project at DPR was Banner Good Samaritan Hospital (now BUMCP). She was given a lot of responsibility, because she asked for it. She continued to raise her hand for challenging projects as she progressed to becoming a project engineer, project manager and project executive. And 15 years later, she chose an OB/GYN that delivers at BUMCP because she felt there was no better place for her personally to bring her daughter into this world. She was coming full circle, with the child she gave birth to at the site of the project she helped create. Today, Gretchen reflects on her special moment, and shares how passion for her work empowers her to be her best self, making her the best mom that she can be. Read Gretchen’s full story, “How to Ask for What You Want and Find Your Voice in a Male-Dominated Industry,” on ENR. In the small town of Winters, California, on 40 acres of former tomato fields and apricot orchards, is the PG&E Gas Safety Academy, a training center that will make California a safer place. 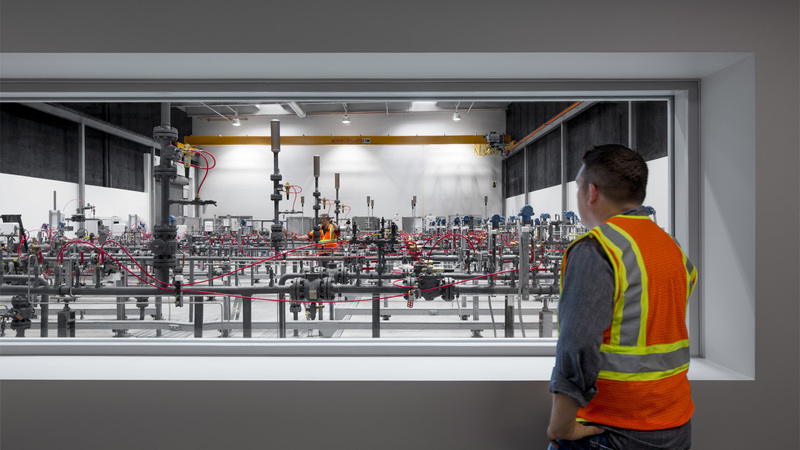 One of the largest combined natural gas and electric energy companies in the U.S., PG&E will use the facility as its primary training center for employees learning to operate and maintain every aspect of the company’s natural gas infrastructure. 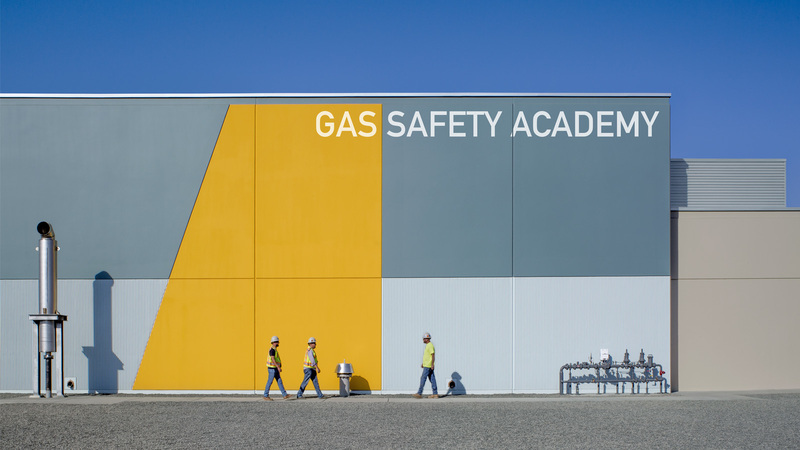 After breaking ground in fall 2015 and completing in winter 2017, the Gas Safety Academy becomes the third in a series of gas safety facilities opened by PG&E since 2013. The academy uses simulators, virtual learning resources and hands-on scenarios to field-train and educate employees about gas transmission and distribution pipelines, meter maintenance, heavy equipment operation, welding pressure control and excavation, among other curriculum. 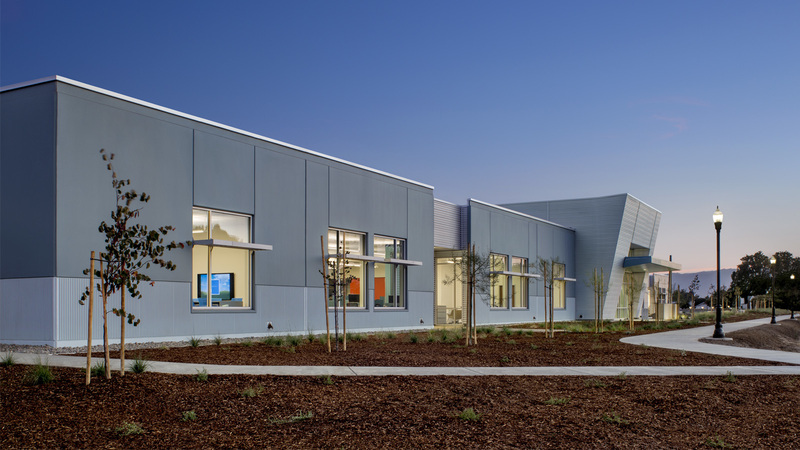 The academy is a constant reminder of the importance of education, safety and the critical role PG&E employees play in keeping customers safe while delivering reliable service. 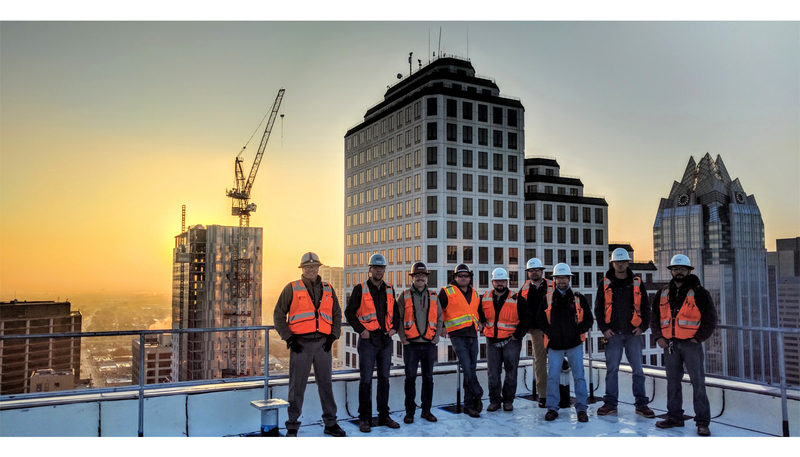 Mirroring its customer’s commitment to safety, the DPR team (including subcontractors) completed more than 140,000 hours of work with no recordable incidents, as it built the $82 million, 96,000-sq.-ft. facility during Northern California’s wettest winter on record (National Weather Service). Bordered on two sides by a Caltrans drainage canal, the site was used as a contingency relief area during years with heavy rain. According to drainage studies completed in the 1970s, if the water levels in nearby Putah Creek were too high for the canals to drain excess water into, the water would back up onto the tomato field. Prior to the start of construction, a civil engineer coordinated with FEMA (Federal Emergency Management Agency) to create a diversion channel and remap the site. To avoid impacting schedule, DPR found a solution to raise the building pads by 6 inches to get them above the flood plain, allowing construction to begin. Because of its various labs and simulators, the academy has a uniquely large amount of both gas and high-pressure compressed air below grade, as well as inside the building, which was installed by PG&E’s own crews. This amount of gas and compressed air is typically installed beneath roads, not under active construction sites. The DPR team engaged with PG&E subject matter experts and coordinated with other utilities to ensure that the infrastructure beneath the facility was installed safely. The Learning Center: In addition to eight classrooms, a simulator room, and electrical workshop, the learning center includes a flow lab for high pressure gas simulation and gas chromatography, where employees gain hands-on experience in regulating and monitoring the pressure and flow of natural gas. 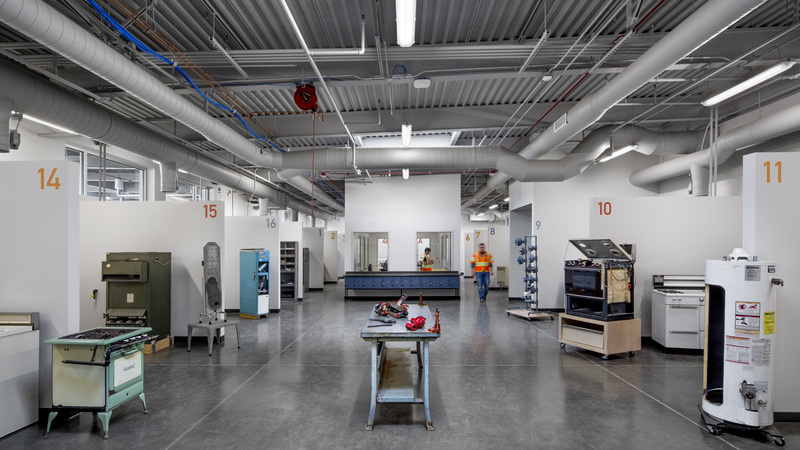 A focal point of the facility, the flow lab contains large, 46-ft. long pipes that have nearly every valve that PG&E technicians might encounter in the field on transmission and distribution gas lines. The pipes are pressurized by a large 300-horsepower air compressor, about the size of an SUV, capable of reaching pressure between 700-800 PSI, allowing PG&E to train their technicians under real-world conditions without the hazards of actual gas. Transmission & Distribution Tech Center: This area includes a utility worker covered training area, plastic fusion lab and an industrial safety at heights training area, giving students a simulation experience on trucks and excavation machinery used in the field. Weld Lab: The lab accommodates apprentice welders during three-year apprenticeships. Outdoor training areas include the Utility Village, made up of 15 small homes to create near real-life conditions of emergency response and leak detection training for gas service representatives, the people who would come to customers’ homes if someone thought they smelled gas. At the mock neighborhood of single-family residences, duplexes and apartments, technicians practice everything from soft skills such as knocking on the doors of homes, to the technical skills of detecting, stopping and repairing gas leaks. Designed to achieve LEED Silver certification by the U.S. Green Building Council, the academy has reduced water usage by 35 percent, energy usage by over 20 percent and recycled 75 percent of construction waste. Other sustainable features include the site’s stormwater management, as well as sunshade louvers on exterior windows, deep overhangs and covered outdoor areas on the building’s south side. Employing 150 people, the academy provides nearly 36,000 hours of training each year as PG&E trains its next generation of energy experts. Through its commitment to continuous improvement, the academy will create ripple effects throughout the state as its graduates create safer gas and electric transmission and distribution lines, making California a better place to live for all. 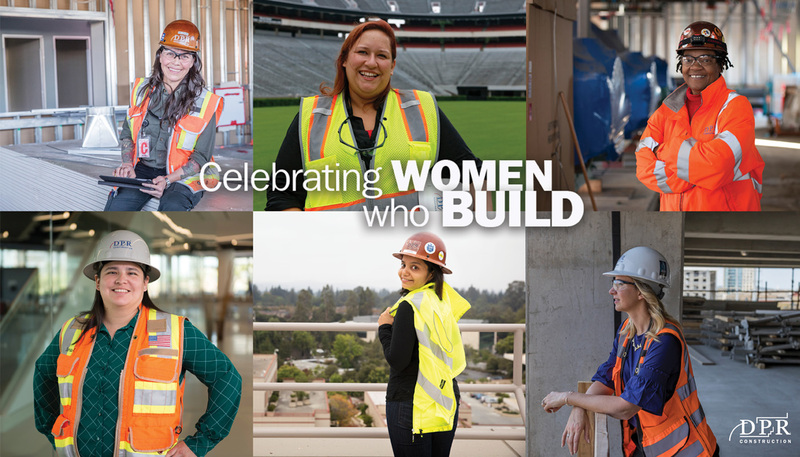 This time last year, DPR Construction launched a monthly blog series dedicated to sharing stories of women who build great things in honor of International Women’s Day, International Women’s Week, Women in Construction Week and Women’s History Month. 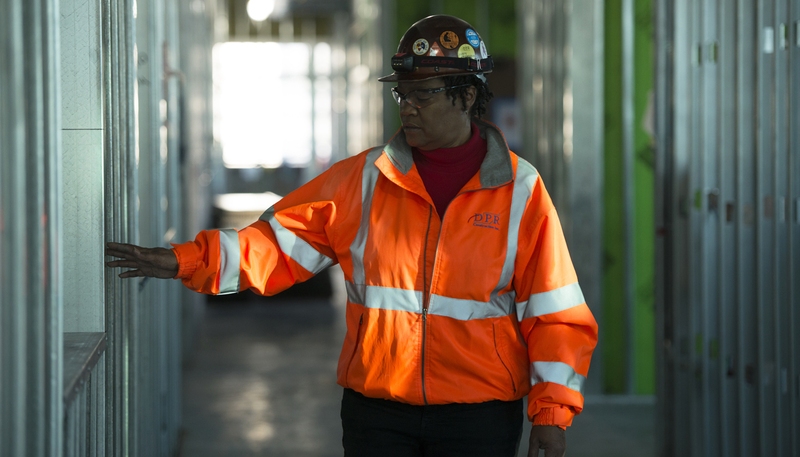 Construction is a traditionally male-dominated industry that is only 9.3 percent women (Bureau of Labor Statistics). 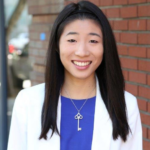 Since spring 2017, the Celebrating Women Who Build blog series has told stories of women who are successfully executing complex, technical projects for some of the world's most progressive and admired companies. 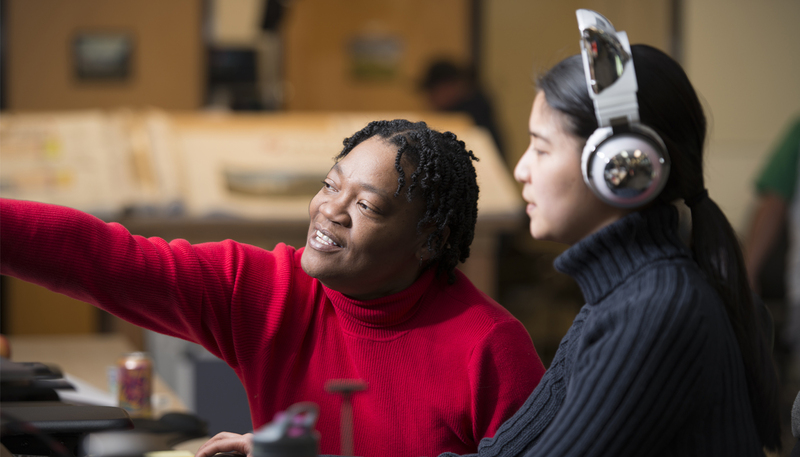 The goal has always been to help connect and inspire women in the industry as they build meaningful careers—whether it’s as a project engineer, a superintendent, a project executive, an architect or an owner. 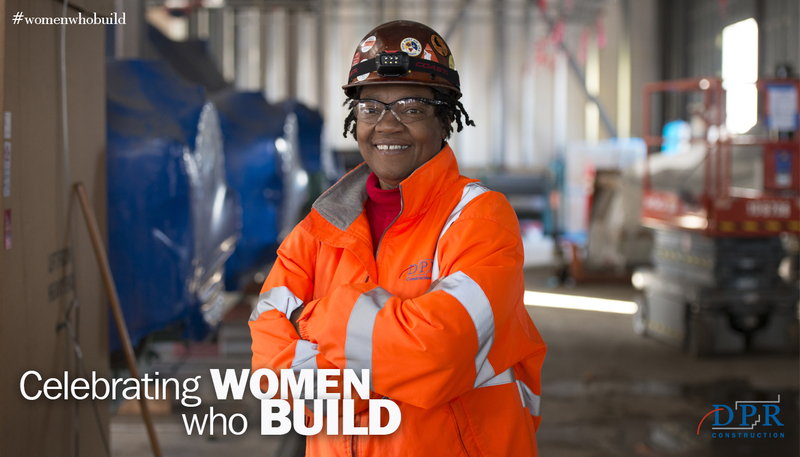 The experiences, challenges and ambitions of the Women Who Build featured in the series resonated with people across the country, who responded with encouragement, support and excitement. Many reached out to share how the determination, strength and spirit of women they read about positively impacted their day, life or career path. DPR’s initial yearlong campaign culminates with a video, but the Celebrating Women Who Build blog series will continue, just like our efforts to create a strong, inclusive environment where everyone thrives. 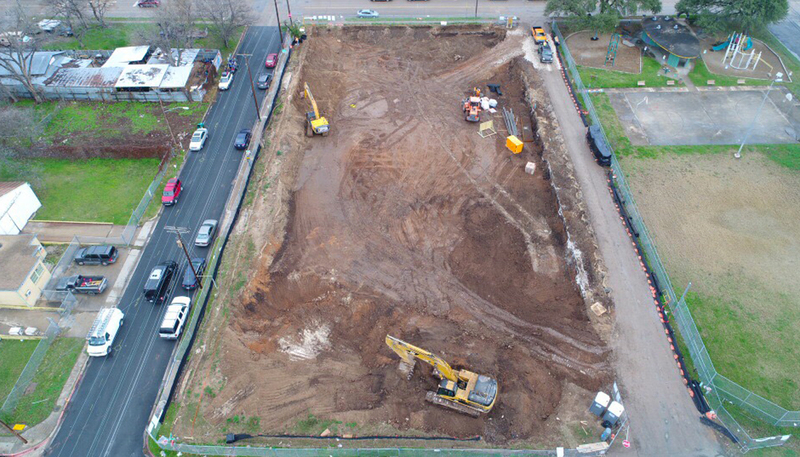 DPR recently broke ground on The Foundry, a mixed-use project for Cielo Property Group in East Austin designed by Sixthriver Architects. Thirty thousand sq. 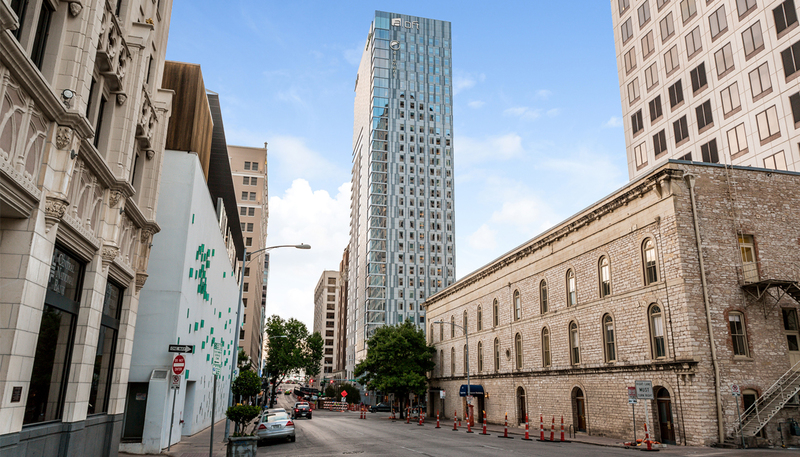 ft. of its workspace will become DPR’s new Austin office, bringing the team closer to projects and customers downtown. Building great things in Texas since 1994, DPR’s staff in Austin has grown by 50% since 2015, causing the team to outgrow its current office space. With its interior designed by IA Interior Architects, DPR’s office at The Foundry is aiming to become one of the first commercial office spaces in Austin to earn net-zero energy certification from the International Living Future Institute, meaning it will produce as much or more energy as it consumes. 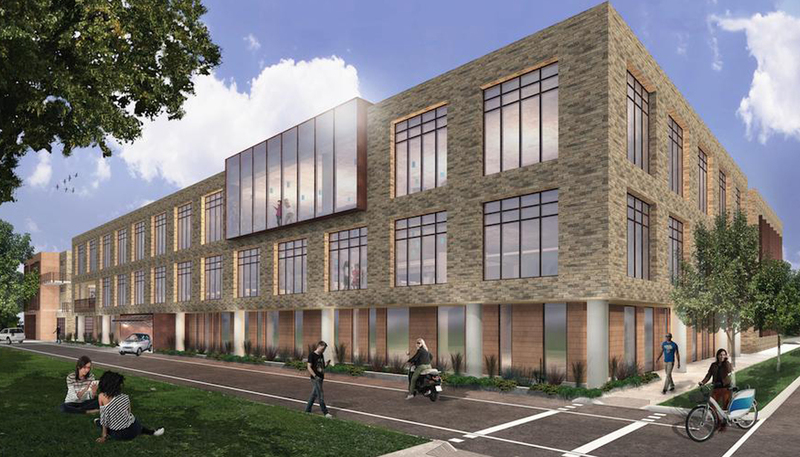 It also aims to become one of the first spaces in Austin to earn WELL Certification from the International WELL Building Institute, a designation that recognizes buildings that improve health and human experience through design. 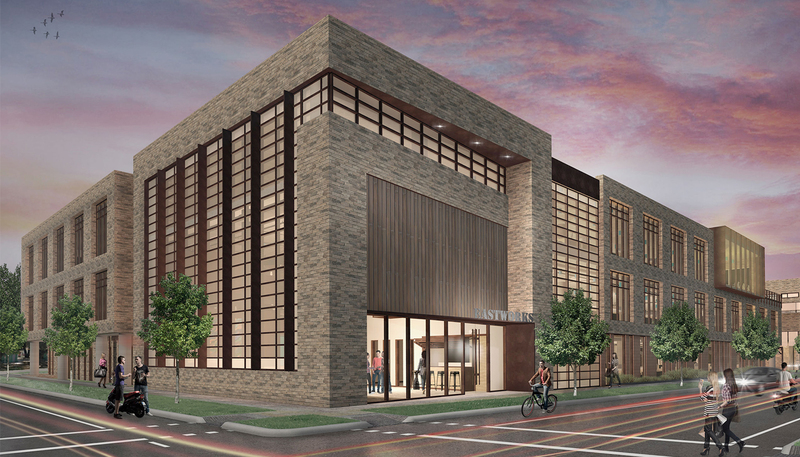 Opening in spring 2019, The Foundry will become not only a great place to work, but serve as DPR’s home in Austin for years to come. When Pat McDowell was a kid, she thought she was going to be a “mad scientist” when she grew up. With a desk covered with pipettes, test tubes and beakers, she conducted her own experiments for hours and hours–never enough to satisfy her curious mind. Today, she builds the laboratory and research facilities where life-saving medicine and therapies are brought to market. As a MEP coordinator at DPR, she specializes in complex and ever-changing MEP systems in life sciences facilities, made particularly challenging because of Food and Drug Administration (FDA) requirements and procedures. In most situations, the products being created in the facilities she builds will eventually end up in a person’s body, giving her work extra meaning. 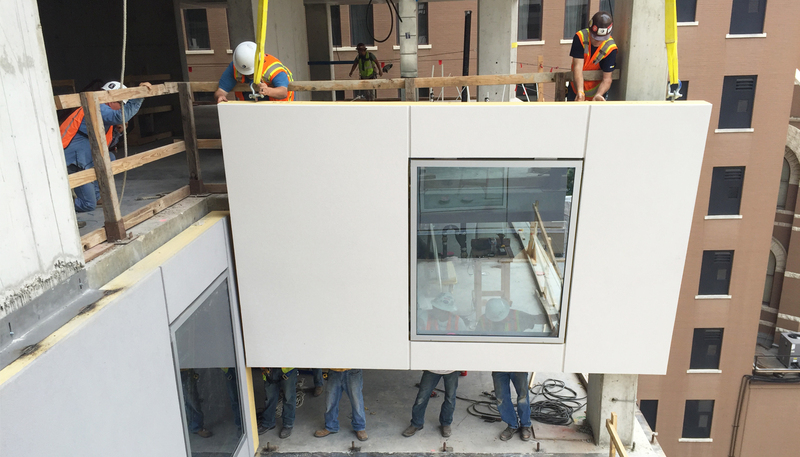 To her, MEP systems are “alive,” and once they are installed, it’s just the beginning. 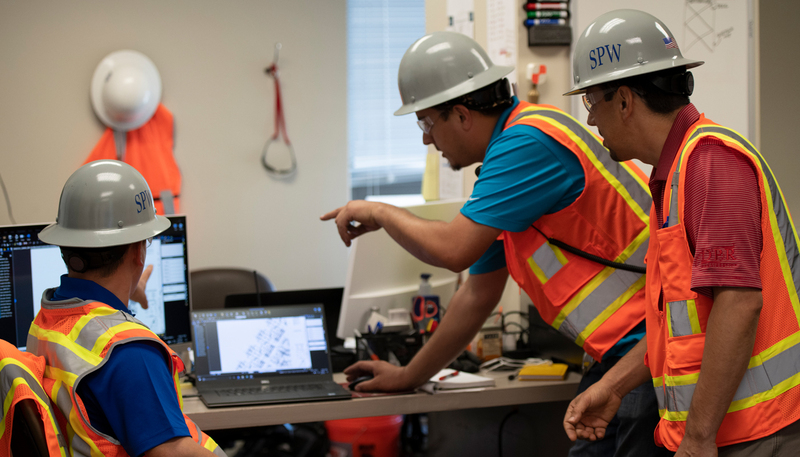 McDowell’s passion lies in making sure the systems–whether it is mechanical, electrical or piping–are integrated so facilities run as safely and efficiently as possible. McDowell joined DPR in 1994 after she graduated from California Polytechnic State University, San Luis Obispo with a degree in construction management, because she was attracted to the company’s entrepreneurial culture and opportunities for growth. Early in her career, she had trouble initially convincing customers and craft workers in the field that she knew what she was doing. She chooses to drive a DPR truck because she has encountered people who have difficulty accepting that she works for a general contractor and belongs onsite–especially guards at security gates–while she is driving her personal car. Over time, she built a reputation as a hands-on, well-respected builder, earning the trust of her teams and customers. UCSF Medical Center at Mission Bay, an award-winning 878,000-sq.ft. ground-up hospital complex renowned for its integrated project delivery (IPD) approach and state-of-the-art patient care. UCSF Ray and Dagmar Dolby Regeneration Medicine Building, the $123 million home of one of the largest and most comprehensive stem cell research programs of its kind in the U.S.
A new 85,000-sq.-ft. research and development lab at Biomarin Pharmaceutical’s San Rafael, California headquarters. McDowell remembers how in the early days of DPR, everybody worked across multiple roles, creating well-rounded talent and teams of dynamic seller-doers. After years of growth and change, she’s seen DPR’s unique, empowered culture remain intact and provide people with even more opportunities to develop and grow. Now, her focus is on sharing her experience and passing knowledge on to the next generation of builders. It is this constant curiosity and desire to learn, develop and grow that has driven McDowell throughout her entire career. And every day she goes to work, doing what she loves, she hopes to teach and inspire others to become the builders, engineers or mad scientists that they dream to be.